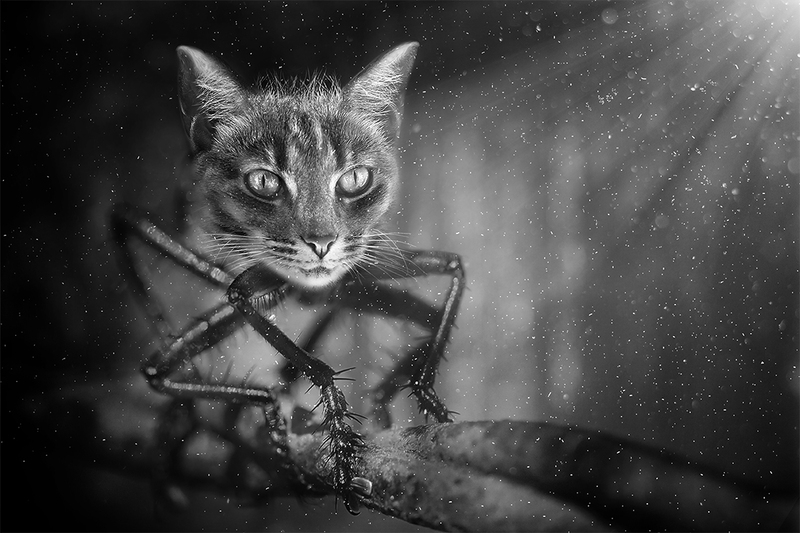 when this challenge was announced the first thing i thought of was combining a robberfly with a cat .. as that was definitely impossible in real life ..
i was lucky that i was able to get photos of both in the timeframe . i get that ppl may not take to something a bit dark like this ..
deformity or abnormality in the shape or size of a specified part of the body..
Ok, this has completely freaked me out. An excellent take on the challenge, Roz. Congrats on TT. Very freaky and stangely intriguing Roz, nicely done in B&W good contrast. Love the light rays, brokeh and dust particles. You were up against some really stiff competition, this is very good nevertheless. I love the sunrays did you add them in postprocessing? This fabulous image may win. Good luck. This is freakishly good, love the textures. Proudly hosted by Sargasso Networks. Current Server Time: 04/22/2019 02:15:47 AM EDT.